You’ve been honing your skill for the past dunno-how-many-years and you’re all ready to show the world what you’re capable of. It’s time to exit that training cave of yours! Here’s a competition that might help you fulfil your dreams of having your talent acknowledged! Hi! 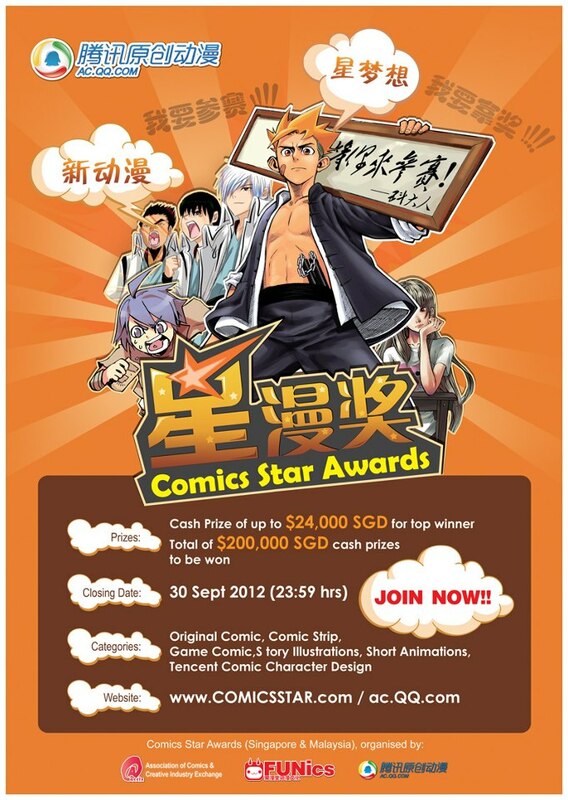 Yup, closing date for submission is 30th Sep. But you may not need to submit the whole story, A few chapters are also welcome. Main objectives of the competition are to search for potential talents and artwork that can be further develop. And if you’re wondering if you have to create a new account? for submission, you can register an acct to submit yourself or send the artwork tocomicsstarawards@gmail.com, we can submit for you on behalf. If you still have queries, do head over to their FB page and ask away! Good luck! This entry was posted in Competitions, Free, News by Lilian. Bookmark the permalink.